Create your own ambiance with a design of lasting allure! This impressive ring is crafted in polished 18K white & yellow gold. 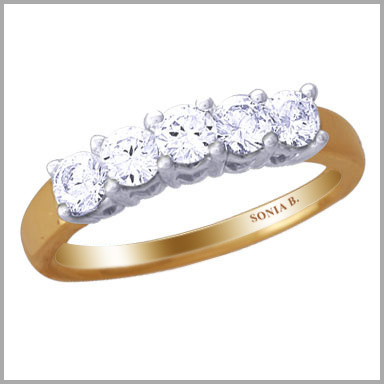 It features five round full cut diamonds in prong settings.The total diamond weight is approximately 1.00ct with a color of H and a clarity of SI2.